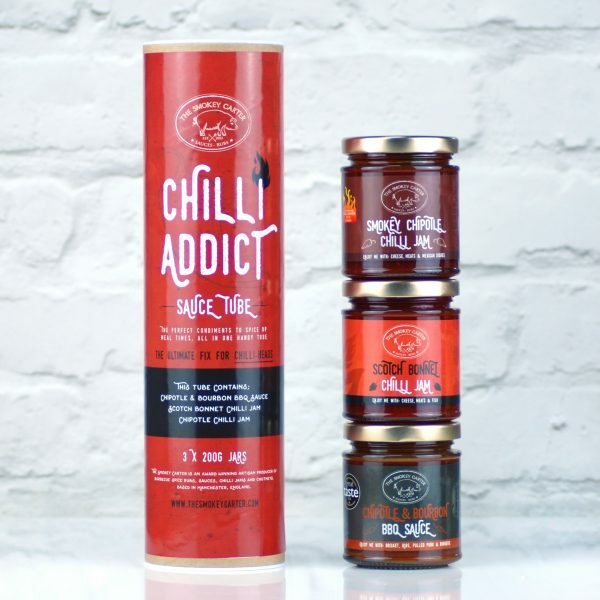 Specially selected artisan chilli jams and sauces for those that like it hot. Christmas Gift Favourite. The perfect pairing to meat, cheese, and fish, all in one neat little tube. 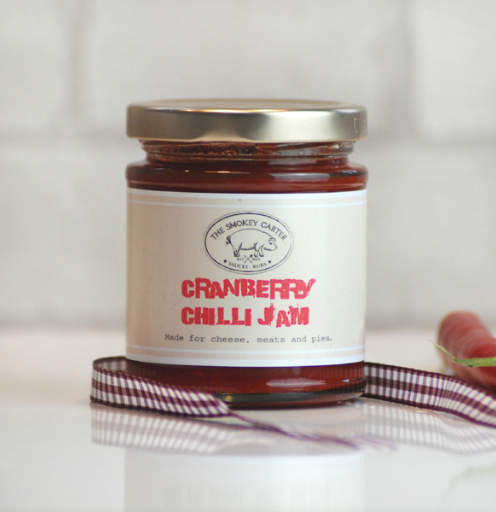 They also make a fabulous accompaniment to cold cuts, ploughman and savoury pies, can be used in wraps and sandwiches too. 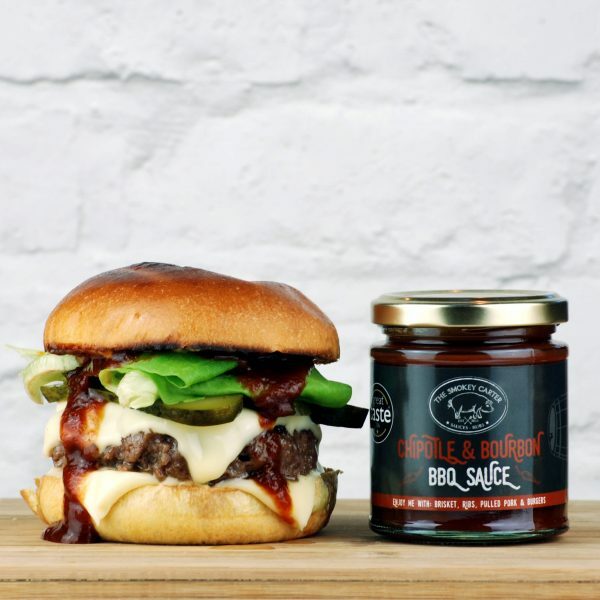 Chipotle and Bourbon BBQ Sauce – A deep, rich and smoky BBQ sauce, not too sweet, we’re not shy on the Bourbon whisky either! 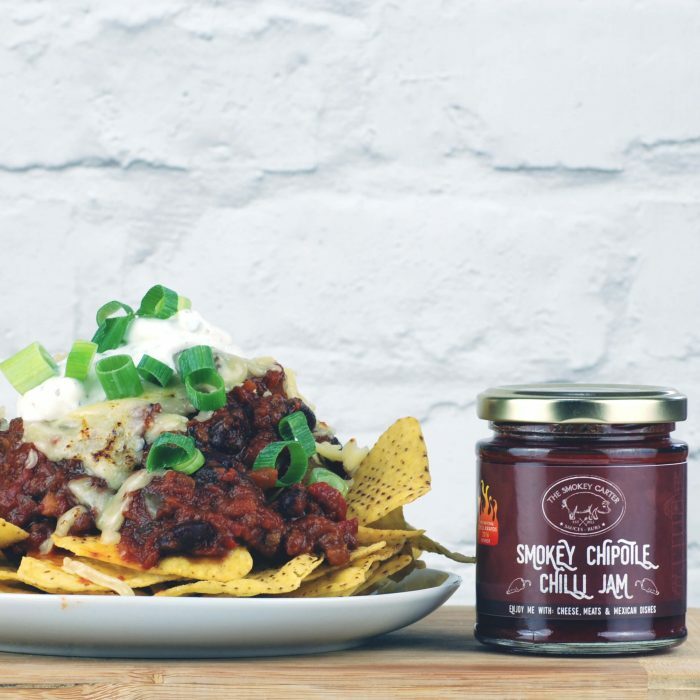 The perfect accompaniment to any dish. 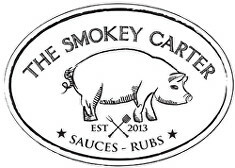 Ideal for pulled pork, ribs, steak, belly pork, BBQ meats and cheese. Why not add a spoon full to your burger? Or mix with a little passata to make a great pizza base sauce for your BBQ or pasta dish. 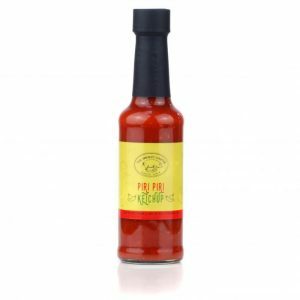 Ingredients – Tomato Sauce (tomato, spirit vinegar, sugar, salt, spice and herb extracts, spice) (Celery), Tomatoes, Water, Brown Sugar, Onion, Black Treacle, Cider Vinegar, Honey, Garlic, Bourbon Whiskey, Sugar, Spices (Mustard), Worcester Sauce (water, spirit vinegar, sugar, molasses, onion puree, salt, tamarind paste, ginger puree (ginger, citric acid (acidifier)), garlic puree (garlic, citric acid (acidifier)), clove powder), Chipotle Chilli Flakes, Smoked Water. Ingredients: Red pepper, sugar, tomato, red wine vinegar, cider vinegar, chipotle chilli (1.9%), garlic, ginger, salt, acidity regulator (citric acid). 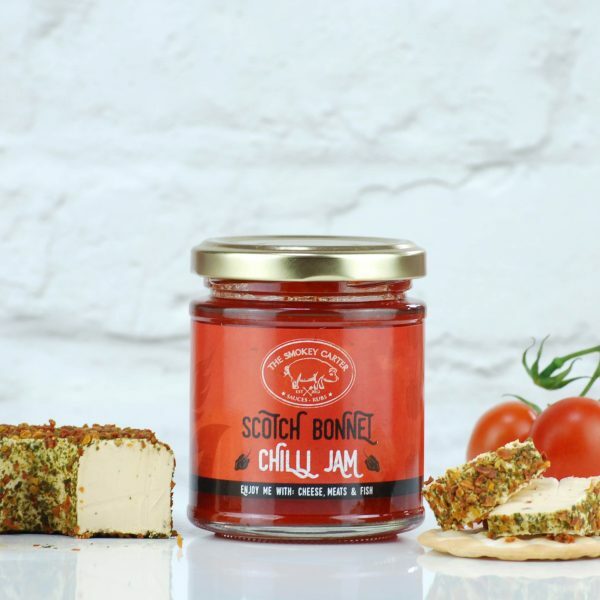 Scotch Bonnet Chilli Jam – This one is for those who love chilli jam but like that little extra heat to go with it. 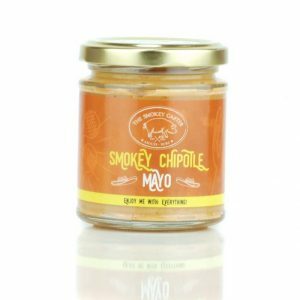 Great with cheese boards and cold cuts. Also rather fabulous used in cooking; topped onto steamed fish or added to either chicken or prawn stir-frys. Also amazing with savoury pies. 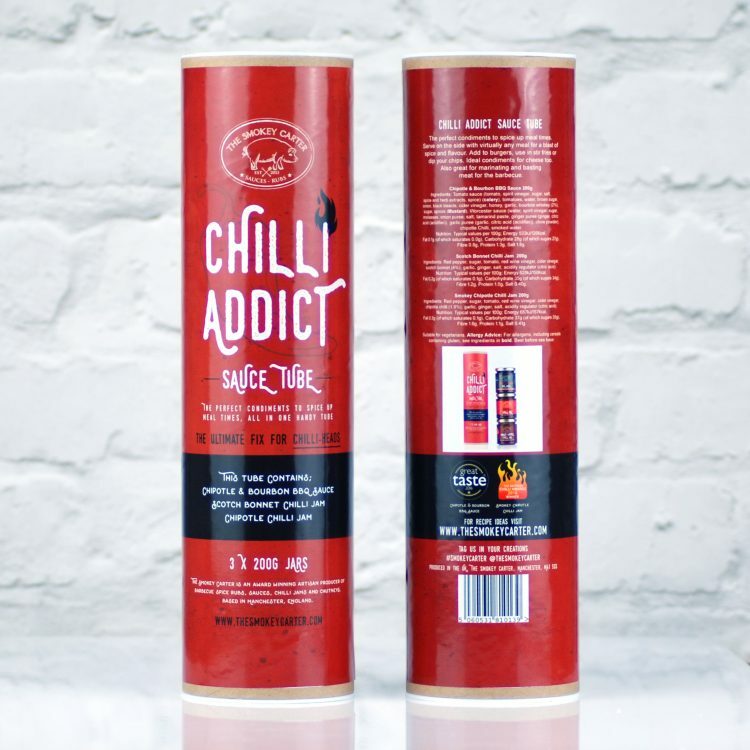 Ingredients: Red pepper, sugar, tomato, red wine vinegar, cider vinegar, scotch bonnet (4%), garlic, ginger, salt, acidity regulator (citric acid).